Do some cultural sightseeing at Cellular Jail and Samudrika Marine Museum. Visit Munda Pahad Beach and Corbyn's Cove for some beach relaxation. There's lots more to do: see the interesting displays at Zsi Museum, contemplate the long history of Chatham Saw Mill, stop by Sagarika Emporium, and look for all kinds of wild species at Chidiya Tapu. For reviews, other places to visit, where to stay, and more tourist information, read Port Blair road trip app . Use the Route module to find travel options from your starting location to Port Blair. Expect a daytime high around 34°C in December, and nighttime lows around 32°C. Finish your sightseeing early on the 3rd (Thu) so you can travel to Neil Island. Start off your visit on the 3rd (Thu): snap pictures at Howrah Bridge, then stroll through Laxmanpur Beach, then get a new perspective on things with Boat Tours & Water Sports, and finally take a leisurely stroll along Neil Island Jetty. Keep things going the next day: tour the pleasant surroundings at Bharatpur Beach. 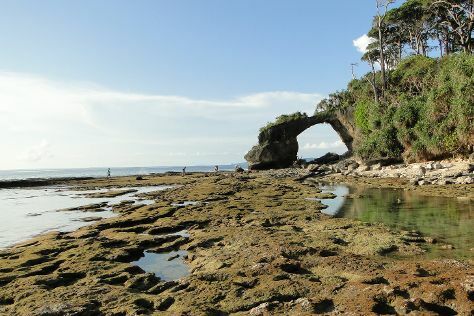 For other places to visit, traveler tips, more things to do, and other tourist information, read Neil Island online trip planner . Use the Route module to find suitable travel options from Port Blair to Neil Island. Traveling from Port Blair in January, expect a bit cooler with lows of 27°C in Neil Island. Wrap up your sightseeing by early afternoon on the 4th (Fri) to allow time for travel to Havelock Island. On the 5th (Sat), kick back and relax at Kalapathar Beach and then tour the water at your own pace with Gypsy Divers. To see other places to visit, maps, photos, and more tourist information, read our Havelock Island day trip planning tool . Explore your travel options from Neil Island to Havelock Island with the Route module. 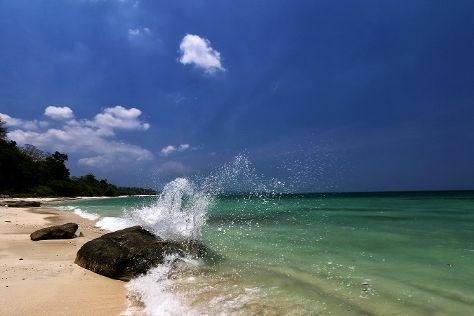 In January, daily temperatures in Havelock Island can reach 35°C, while at night they dip to 27°C. Finish your sightseeing early on the 5th (Sat) so you can travel back home.